Interessantes Zeug, das sich im Laufe der KW 2017/30 angesammelt hat. Soll ja nicht im Archiv vergammeln und schlecht werden. Also raus damit! Immer am Wochenende gibt es hier einen Sammelpost mit allem, was es nicht zu einem eigenen Artikel gebracht hat. Das ist mal mehr, mal weniger. Mal gucken, wie’s klappt. 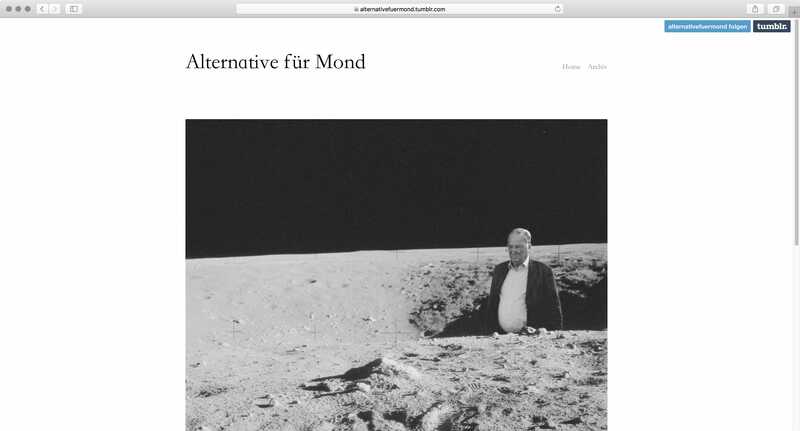 René schreibt dazu: Mein Buddy Gregor Weichbrodt hat „Personen und Objekte der ‚Alternative für Deutschland‘ in die Schwarzweißfotografien der Apollo-Mondmissionen“ geshoppt und die Alternative für den Mond ausgerufen. Die passen da ziemlich gut hin, finde ich, […]. But it’s not just what they contain that matters. National libraries themselves are a reflection of the country they serve; their architecture can offer visions of both the nation’s history and its future. Here’s a selection of the world’s most interesting national libraries: […]. Impossibly tall glass towers shooting up into the sky, a crowded neon street scene reminsiceint of Blade Runner, a massive development that looks like it was plopped down all at once in a computer simulation. These are just some of the entries shared by National Geographic in anticipation of announcing the Travel Photographer of the Year in their annual contest. 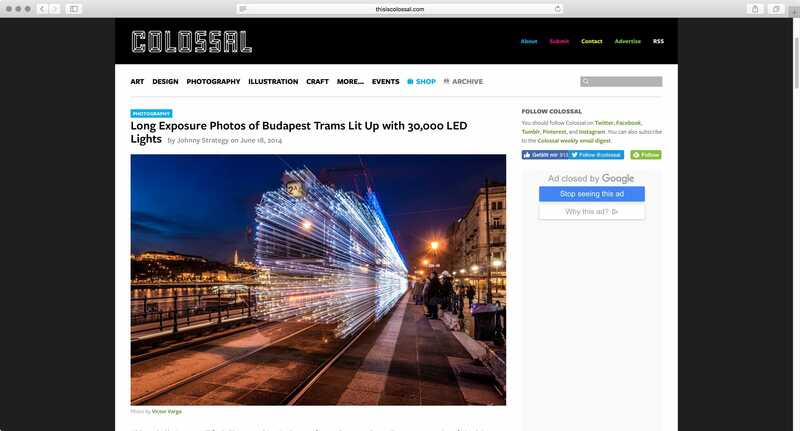 In a recent selection of images from the contest, travel photographers have shared evidence of our imagined future, like the iridescent skyscrapers of Busan, South Korea, or a sleek, minimalist library in Stuttgart, Germany, that seem ripped from the imagined future of Hollywood films. The Shark in the Park visualizes the growth and development process of a special strawberry species called “Parco Pistris” which has been discovered by a Korean scientifical research group KSPRI in 2016. KSPRI commissioned animation-director-collective Polynoid to take their research and create a visualisation that would feature all of the actually pretty stunning facts about the plant and still be entertaining in order to bring the piece not only to a biology focused but wider and younger audience. As a reminder, Dr. Marshall is a professional marine biologist. Please help keep our giant sea friends safe and NEVER TOUCH a manta ray in the wild. Thanks, friends! This short is a comically cynical vision of a future where the water is gone, all that’s left is dust and desperation. 79 year old lovely legend Rosemary Smith smashes it round in a Renault F1! A film about a John Travolta and space travel by Danny Sangra. Der taucht hier nicht zum ersten Mal auf. Passion project based on the poem by Carl Sandburg. Un film réalisé pour les enfants et les gros oiseaux.